Here at Tayside Boiler Services Limited we provide expert central heating, plumbing, and joinery services. From design to installation and a very comprehensive aftercare package, we are collectively working together as a team to provide our clients with a trustworthy, prompt and reliable service. We undertake all types of central heating, plumbing, electrical and joinery works. 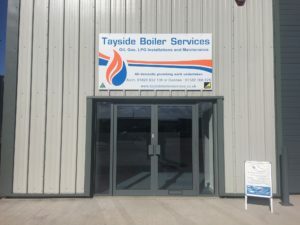 Tayside Boiler Services Limited specialise in the design, installation and commissioning of central heating boilers and central heating systems. We provide free, no-obligation boiler and central heating quotations. If you are looking for a brand-new boiler installation, a replacement boiler or a full central heating system then please, do not hesitate to contact our office, where we have experienced staff on hand to guide you through the process of choosing a system which is best suited to your needs. We also provide expert boiler servicing, maintenance and repair services to gas, oil and LPG fired boilers.